To start a project Sunfish needs your Hydro One information. It allows us to get approval for your property from Hydro One. This information is kept secure and does not bind you to going ahead with a project or with Sunfish, but is necessary to apply. We include your email address in the application. 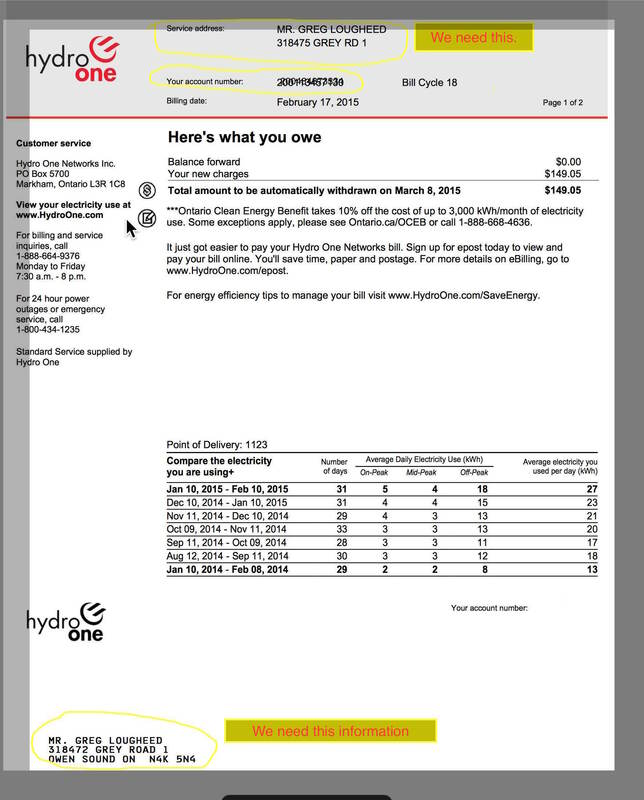 When Hydro One approves or denies your ability to connect to the grid for the project you will get an email along with us. We keep you informed. Estimated annual consumption in dollars or kWh.